Infant (6-12 Months) - $33.99 Only 7 left! Can’t Help Falling In Love With this cutie! He might be the king of your heart already, but your Suspicious Mind knows it’s only a matter of time until this little Hound Dog is the next King of Rock and Roll! Like a Big Ol’ Hunk of Love, this baby Loves You Tender and when he sings, it’s like a Pocketful of Rainbows! So if your little crooner sends you straight to the Heartbreak Hotel with his star quality, then Don’t Be Cruel! 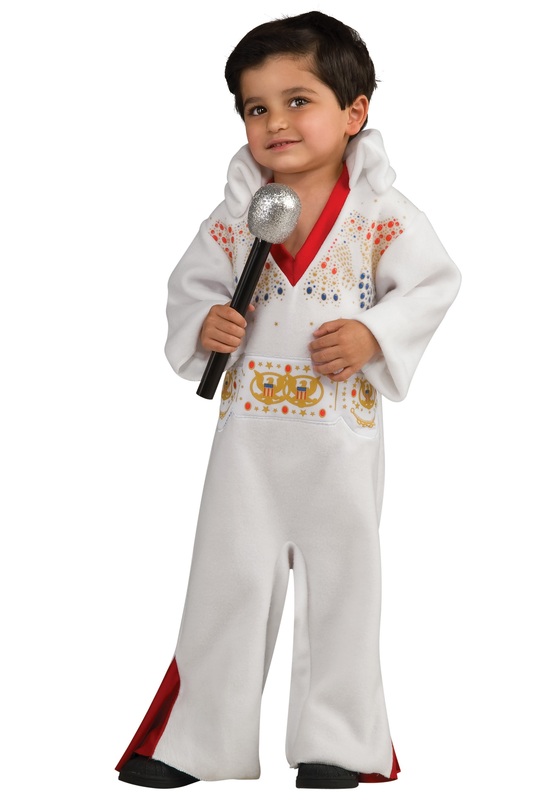 Get him ready for Viva Las Vegas in this Toddler Elvis Costume Romper!